We pride ourselves to be role models for all our dancers. Ruth Anne is known around the studio as Mama Tap! Ruth Anne founded Dance London with her daughter Tammy Lechner in 1993. Ruth Anne then sold the business to Ashley Aarts. Ruth Anne is retired now but she is still keeping those dancing feet tap dancing! She remains part of our Dance London family and visits the studio often. Marika has been dancing since the age of three and has been apart of the Dance London family for over 10 years. She has trained in many styles of dance including jazz, tap, ballet, pointe, contemporary, and hip hop. Marika has attended dance conventions all over North America, learning from some of the world’s top choreographers. Marika is also highly trained in Greek dancing, which has given her the opportunity to perform all over Ontario. Marika strongly believes in creating a fun, positive, and understanding environment for every student and family while bringing enthusiasm and excitement to her classes. She is constantly inspired by her students and is honored to call Dance London her second home. As well as teaching at Dance London, Marika is also the Dance London Office Manager, assisting in the daily operations of the studio. Marika graduated from Western University, receiving her Bachelor of Arts with an Honors Specializing in Sociology. She has recently graduated with her Diploma in Public Relations from Western University, and is currently working as a Public Relations Specialist. Lisa has been dancing since the young age of 2 1/2 at Jo Read School of Dance, completing all of her B.A.T.D in Acro, Jazz, Tap and Ballet. Acro has always been her favourite style of dance, being trained as a contortionist and gymnast throughout her dance career. Her love of dance has continued to grow throughout her life, and is something she wants to pass on to younger dancers. Lisa competed Provincially, Nationally and Internationally at all levels of competition, getting to experience workshops from other professionals, dance pageants, shows, different styles/disciplines and of course meeting new friends. Lisa was a member of the Canadian National Showdance Team, where she represented Canada at the World Dance Championship in Riesa, Germany. The formations group of 24 dancers picked across Canada placed 3rd, receiving a bronze medal for Canada. Lisa also competed in the soloist division winning 1st place adding a gold medal for Canada that same year. During the end of high school Lisa performed and choreographed for a few shows at Fallsview Casino in Niagara Falls, also choreographing for So You Think You Can Dance Canada with Amy Wright for 3 Waltz performances. Lisa was Fanshawe College’s head coach of the dance team for 2 years, travelling to compete against other College/University’s. Lisa went to school to become a Physiotherapist Assistant, and now runs conditioning classes for all athletes to prevent injuries, educate athletes, stretch properly and strengthen the big and small muscle groups. Her passion for dance in now combined with Physiotherapy and her athlete’s results are incredible! Erin began dancing at the age of six and has called Dance London her home for the majority of her dance career. She grew up with many opportunities traveling to different conventions and workshops to expand her love for dance, and work with some of the top choreographers in the industry. Erin began assisting and teaching at the studio as a teenager where her passion for both teaching and learning from her students began, and at this time she was also featured in a Dove campaign for Real Beauty. After graduating high school, Erin moved to southern California to begin training with The Young Americans, a non-profit performing arts group who travels to different countries teaching workshops and performing. She had the opportunity to live, travel, teach, and perform in countries such as Germany, Holland, Japan, and the United States. She was also chosen to perform in New York City’s Macy’s Thanksgiving Day Parade, and on various television and radio stations in Germany, Japan, and America. Erin has received her Bachelor of Arts with an Honors Specialization in Childhood and Social Institutions from Western University. She has recently graduated with her Bachelor of Education with qualifications in Family Studies, Social Sciences, and Dance and is ecstatic to be an Occasional Teacher with Thames Valley District School Board. Erin continues to feel so honoured to be a part of the Dance London family! Kristine started dancing when she was 6 years old, studying jazz, ballet, lyrical, and hip hop. As she entered high school, she began music theatre, starring in several local theatre productions (such as The Act, Little Shop Of Horrors, Chicago, and Seussical). Kristine went on to study in the Music Theatre program at Randolph Academy for Performing Arts before attending Western University and receiving her Bachelor of Education. Kristine choreographed two high school musical productions, was Dance captain for several community theatre productions, and has assisted and taught dance of all ages and styles for over 5 years. She now has a 4 year old daughter who loves dancing with Dance London, as well as a one-and-a-half year old son who gets his groove on around the house any chance he gets. Kristine is thrilled and honoured to be joining the Dance London faculty, combining passions of teaching and The Arts. Seiko has been part of the Dance London family since she was 4 years old. She has trained in ballet, jazz, tap, hip hop, lyrical, pointe, and contemporary. Seiko has participated in dance conventions such as The Dance Project and Dance Attack Workshops. When she was 11 years old, Seiko attended the Quinte Ballet School of Canada for three weeks in Belleville, Ontario. She has been a teaching assistant since 2014 and has also been a counsellor at Dance London summer camp. Seiko has been a member of DLPC since it first started in 2014. Kathryn was born and raised in London On. She began her dance training at a very young age with a love for tap. With encouragement and support from her teachers she quickly branched out to study all forms of dance . Dancer, choreographer and teacher she has been a part of our family for 18 years. During the course of her career she has studied Modern in Sydney Australia and continues to work with choreographers on a regular basis in Toronto ON. She keeps current by attending classes and conventions studying jazz, tap modern and hip hop. Kathryn’s passion for performance resonates to her students and to those that enjoy her dedicated work. Teresa has been teaching at Dance London since its beginning 18 years ago and considers the staff and students an extended family. She holds a Bachelor of Education from UWO and absolutely loves teaching, whether at the dance studio or in her classroom at school. Teresa has taught dance workshops in schools throughout the TVDSB and has even traveled to Antigua where she choreographed 2 shows for the Antigua Youth Theatre. 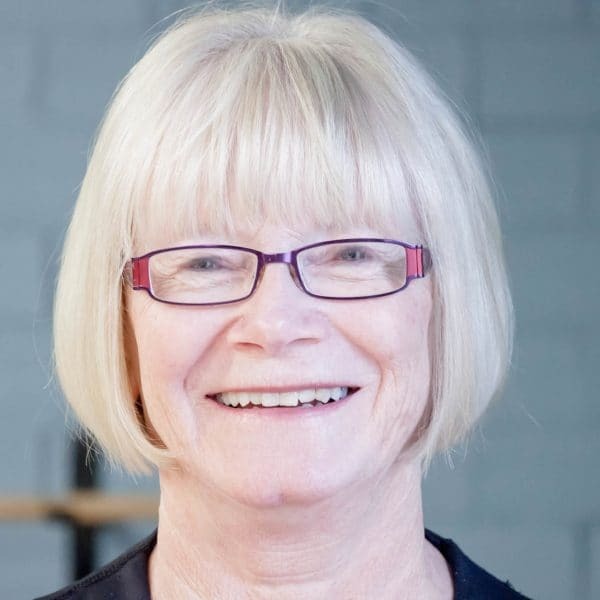 Teresa has trained in ballet, jazz, tap, musical theatre, lyrical and gymnastics and continues to attend conventions and workshops, including the Paula Morgan Dance Intensive in Los Angeles, to increase her knowledge of teaching and the changing styles in dance. Amanda was born in Kitchener Ontario, and is currently studying Dental Hygiene at Fanshawe College. She began her dance training at the young age of two years old and studied many different styles such as jazz, ballet, pointe, tap, lyrical, acro, hip-hop, and musical theatre. Amanda has completed all her ballet exams with the national ballet school up to intermediate level. She dedicated fourteen years of her life training very hard to become the strongest dancer she could be. Amanda started competing when she was four years old and continued until the age of sixteen; she loved being on stage. If she had to pick a favourite style of dance it would be between jazz and musical theatre. She is extremely excited to be apart of the Dance London community. Amanda’s love for dance has changed from a hobby to a passion over the past 17 years and now she’s decided to give back her love by teaching young kids her passion. Alice started dancing at Dance London at the age of four, and has been with the studio ever since. Dance London will always be considered her second home. She has trained in many styles of dance growing up, and was apart of Dance London’s Performance Company her last few years of post secondary. Alice began assisting at the studio as a teenager, which included yearly classes and summer camp programs, and is now teaching full time. Attending Mother Teresa Catholic Secondary School, Alice had the privilege of choreographing and dancing in many theatrical shows such as Footloose, 13, Little Shop Of Horrors, and Back To The Eighties. Alice loves working with children and enjoys learning from them. She appreciates the knowledge she gets to share with her students and is fond of the creative freedom Dance London has to offer. When she’s not in the studio teaching, you can find Alice behind the front desk! Alice is a recent Fanshawe Photography graduate with a specialization in Contemporary Media. In her spare time she loves to volunteer at Saint Andre Bessette Catholic Secondary School for their gym courses, and assists in choreographing pieces for their dance company! “Great dancers are not great because of their technique, they are great because of their passion” – Martha Graham. Abbey has been dancing since the age of 6 and has been a part of the Dance London family for 12 years. She has trained in many styles of dance including jazz, tap, ballet, musical theatre, modern, and lyrical but tap has always inspired her the most. For the past four years Abbey has also been an active member of the dance program at South Collegiate Institute as a dancer, choreographer, artistic director and member of the South Dance Company, giving her the opportunity to work with choreographers from all over North America, and participate in many master classes and workshops through the Toronto Dance Theatre and McMaster University. On top of performing in Dance London’s annual year end show, Abbey has performed locally for A-Channel, Art Harvest Festival, Western Fair, and most recently had the chance to perform alongside members of the Canadian Children’s Dance Theatre at Dance Ontario’s Dance Weekend in Toronto. 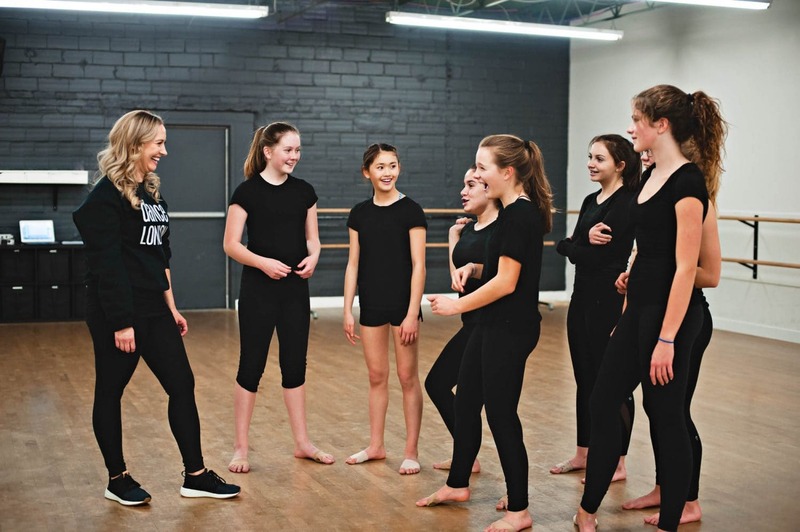 In the past couple of years Abbey has gone from being a class assistant, to substituting for other teachers at Dance London, to teaching during the summer dance camp programs, and is now excited to be teaching her own classes this year. Abbey can’t imagine her life without dance and cherishes every moment spent onstage or in the studio. Brianna Moretti began dancing at the age of 4 at Joanne Chapman School Of Dance. She’s trained in various styles such as jazz, acro, tap, ballet, hip hop, lyrical, contemporary, and musical theatre. She has been awarded distinction with her ballet examinations with the Royal Academy of Dance and has participated in her Solo Seal. She has competed at both regional and national dance competitions, and has been with Joanne Chapman school of dance when they have won both 2011 and 2015 Studio of the Year at The Dance Awards. Brianna has been fortunate enough to win many regional overalls and a National Title at the age of eleven. Her extensive training has given her the opportunities to work with Emmy award winners Travis Wall and Mandy Moore as well as broadway choreographer Al Blackstone. Brianna is a graduate from Mayfield Secondary schools regional arts dance program and a certified member of the British associations teachers of dance in both Stage and Acrobatics. She continues to share her passion for dance by educating young children about dance and the many things that it has to offer. Danielle has been dancing since she was 4 years old, first at a community program and then at a dance company in Pickering where she quickly became part of the competitive team. She competed in Canada and the US winning overalls and scholarships for group dances as well as her individual solos. At her studio, she studied B.A.T.D. in ballet, jazz and tap and completed her Associates in jazz/tap. She also excelled at musical theatre, modern, hip hop and song and dance. She pursued dance at the University level earning her Bachelor of Fine Arts Honours degree in dance at York University along with her Bachelor of Education to become a Secondary Teacher specializing in dance and music. During this time, she was part of both Steppin’ Out, a community theatre production company and Vanier College Productions (VCP) which was a York initiative and performed for all of her 5 years in university in various roles as a dancer, singer and actor. As well, during this time, she also choreographed routines for various schools and companies including VCP. She has worked as a dance teacher since she was 17 at Attitudes in Markham and has taught dance to kids 4 – 18 years old. Recently, she spent 2 years in England teaching English, Drama and Dance and also helped to organize after school dance programs. She is currently on the Thames Valley District School Board as a secondary occasional teacher and is waiting for the day she can have her own classroom. Meghan has been dancing since the age of three. Dance has always been her number one passion. She did 5 seasons with the Huron Country Playhouse in Grand Bend. Meghan has attended several dance conventions in Calgary, Alberta, Toronto and Kitchener, Ontario. She graduated with an advertising diploma from St. Lawrence College and a Visual Merchandising Arts diploma from Conestoga College. Dance London has been her home away from home for twenty years. She has taken all of the styles that the studio offers, but hip hop, jazz and tap are her favourites. Dance London has taught Meghan how great it feels to express yourself through dance. Natalie began dancing at age five and has been a part of Dance London since 2010. She has trained in many styles including ballet, jazz, tap, contemporary, modern, hip hop, musical theatre and acro. Natalie enjoys attending dance conventions and learning from a variety of choreographers like Stacey Tookey and Travis Wall. She was a scholarship winner at Co. Dance convention in 2012. Being a part of DLPC for four years, Natalie has performed at London Lightning games, Harlem Globetrotter games, various elementary schools in London and much more. She is a five time winner of the Dance London choreography competition and has worked at the Dance London summer camps. Natalie is currently attending Catholic Central High School. She loves working with children and is eager to approach every task with confidence and leadership. Natalie is very passionate about dance and hopes to keep dancing for the rest of her life. Bailey Woodwark began her journey in dance at the age of two at “Joanne Chapman School of Dance”, in Brampton. She has successfully received her British Association of Teachers of Dancing Certificate in Acrobatics, as well as obtained a Distinction in her Royal Academy of Dance Advanced 2 level ballet exam. Bailey has been an assistant and instructor for the past 10 years at Joanne Chapman’s. During her time at the studio she was a member of the Advanced Company Team, and was also part of winning “Studio of the Year” at the Dance awards in New York City. When at the Dance Awards, Bailey also made the “Top 20 Senior Best Dancers”, two years in a row. She has performed in a variety of charity events including “On The Floor Sick Kids Gala”, and “Dancing for Dogs”. She was also featured twice on the hit Family Channel show, “The Next Step”, as a member of a competing studio, and Team Italy. Bailey Keeps current in her teaching techniques and choreography style by attending many conventions such as “Contour Summer Intensive”, “Jump”, “Nuvo”, “24/Seven”, and “Dancer Palooza” in LA. Bailey is currently a student at Western University, completing her degree in Kinesiology. She is looking forward to becoming a member of the Dance London teaching staff.